As with free and open source software, free and open hardware are key components to a sustainable and enriched future for all. We are all faced with a wide variety of environmental and social problems, of which the current closed and proprietary based economic system has little chance of solving. The inefficiencies of consumption based economics contribute highly to both these issues. The mass majority of designs and patents are owned by companies, with their primary interest is of selling you more products. Therefore it is not in their interest to design and create the best, long serving, repairable & upgradable products. This is where free and open hardware comes to the rescue… If the consumer take responsibility of these products, longevity, upgrades & maintenance will be inherent in their design and creation. It is early days for the free & open hardware movement and it needs your support, so I have compiled a list of what I currently believe and am aware of, the best and most important free and open hardware projects to help you understand what it is all about. These are not necessarily in order of best, as they all hold their own in their respective field. I am sure I have missed some other worthy projects out there, so please update me with them. The Arduino is the perfect platform to get involved in programming and electronics. A lot a new open hardware projects involve Arduino’s, as they are so versatile and accessible, including my Open Source LED Clock which is based around the Arduino Nano. The first video should give you what it is and what the Arduino can do for you. The second is a 28 minute documentary that explains the initial journey of the Arduino and why it came into existence and if you want to get a deeper understanding of the open hardware movement, then this is well worth watching. This in fact encompasses a wide variety of projects, needed for a modern society, from a brick maker to tractor. Localised manufacture is key to a sustainable future and the open hardware movement. The below video was released about 4 years ago and has become a great success. The Reprap project has now evolved from the original reprap to a variety of new designs all that are all free to download and make yourself. On the left you can see one of the original designs (RepRap Mendel) and on the right one of the latest( 3DR RepRap Delta printer). Laser cutters are becoming an important tool in the makers and hardware hackers arsenal. They allow for cutting and etching of a variety of materials, such as paper, wood, textiles and even light metals. Here is an open source laser cutter which is very close to an official release. Meanwhile, with a small donation you can access the beta files and get building. Its all very well having all of the above open source tools, but what if you don’t have a workshop to house them? 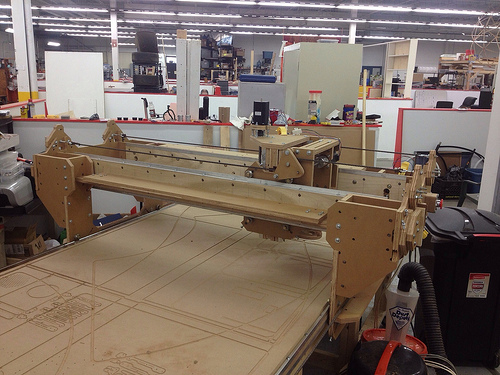 Well, now you can build an open source one, using the Wikihouse constructions set on a CNC router like the Kikori. Wikihouse is a construction set designed for anyone wanting to build their own timber framed home (or workshop). All the construction components are cut out of 18mm plywood which can be easily sustainably sourced. I recently supported this project on Indiegogo and thought is was well worth adding to the list. This project is a open source prosthetic hand that open/closes when the user tenses their forearm muscle. 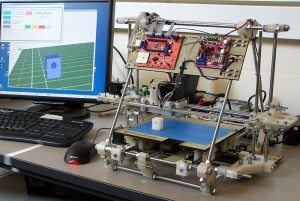 A large proportion of the components can be printed using a 3D printer like the RepRap. 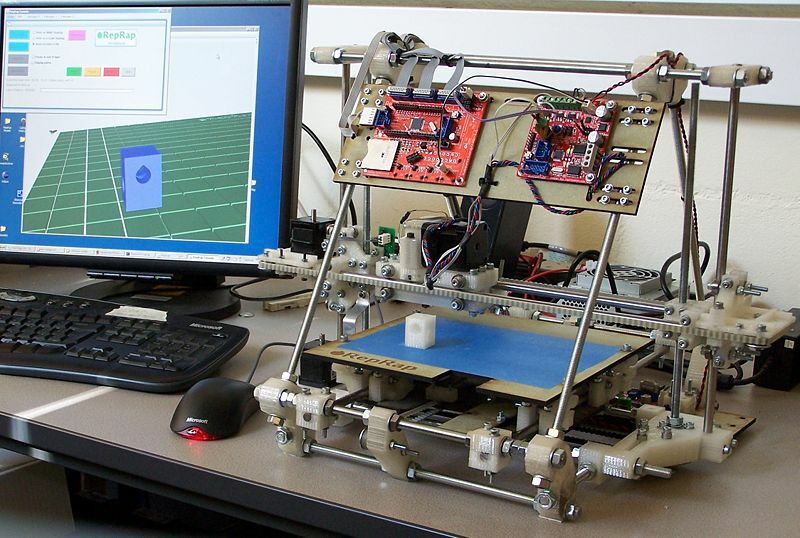 Smoothie is a control board specifically designed for open hardware manufacturing tools, such as 3D Printers, Laser Cutters & CNC Routers and Milling Machines. The current design can handle up to 5 axis machines. This is a powerful new parallel computing platform, design to run GNU/Linux. For certain computational tasks a regular desktop computer is simple not powerful enough and doesn’t have the correct type of architecture to get it done efficiently. Parallel computing is a subject in itself, but this video should give you an idea of why it important. This entry was posted on 15 October 2013. It was filed under CAD, CNC, CNC routing, open hardware, open source and was tagged with 3d printing, best, cnc routers, open source hardware.